When I came across this recipe, it sounded good, but it really is delicious! 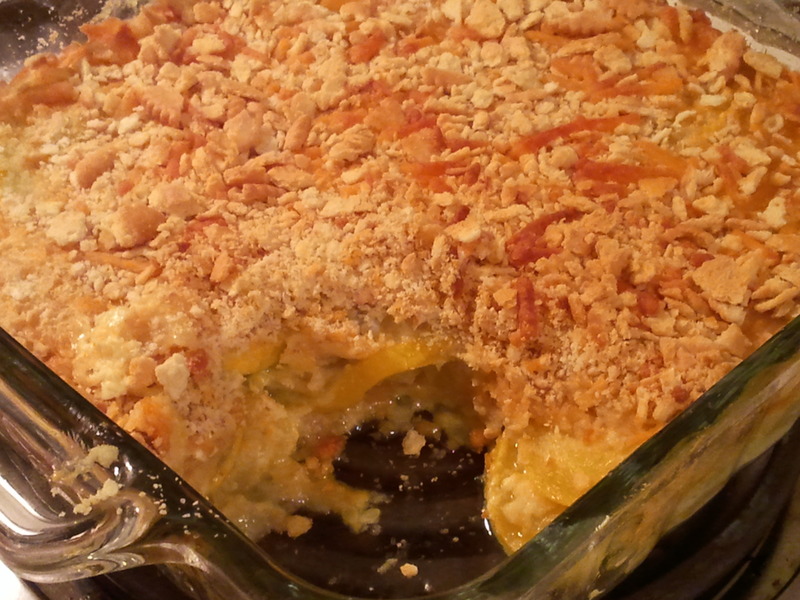 It has a buttery, cheesy taste, which blends nicely with the squash. I used Ritz crackers for this, but you could probably use bread crumbs or crushed cornflakes in their place. I was also tempted to add some oregano to this, but I got busy making it and forgot to add it in. In a large skillet, melt butter. Add onion and squash. Cover, and cook until both are tender, about 5-10 minutes. Stir in salt and pepper. Remove from heat. Mix together crushed crackers and shredded cheddar cheese. Divide mixture in half. Stir in one half with the squash mixture. In a small bowl, beat eggs and milk together. Pour over the squash mixture and stir. Grease an 8×8 baking dish. Pour in the squash mixture. Top with the remaining half of the cracker and cheese mixture. Bake in the preheated oven for 20-25 minutes, or until casserole is bubbly and the crackers are lightly browned. Yum, yum, yum! 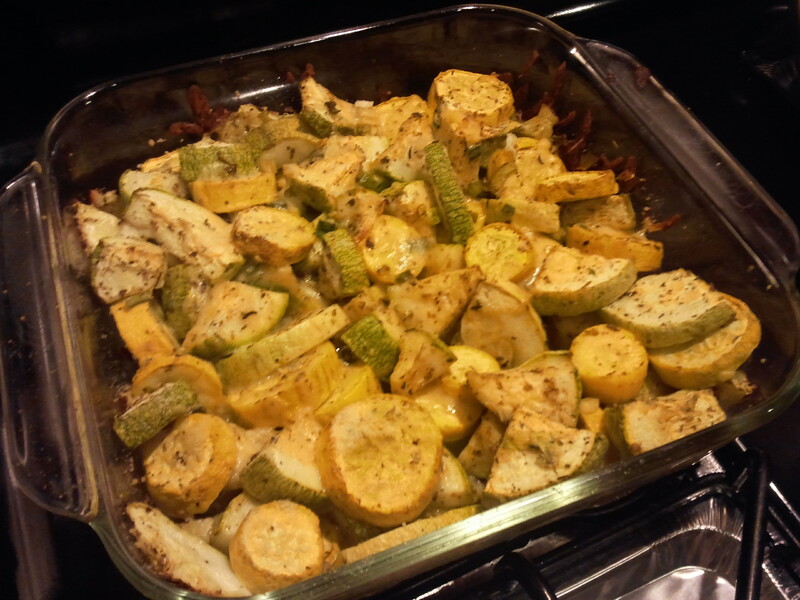 I had gotten a lot of yellow squash from Bountiful Baskets, and was trying to come up with ways to use all of it. 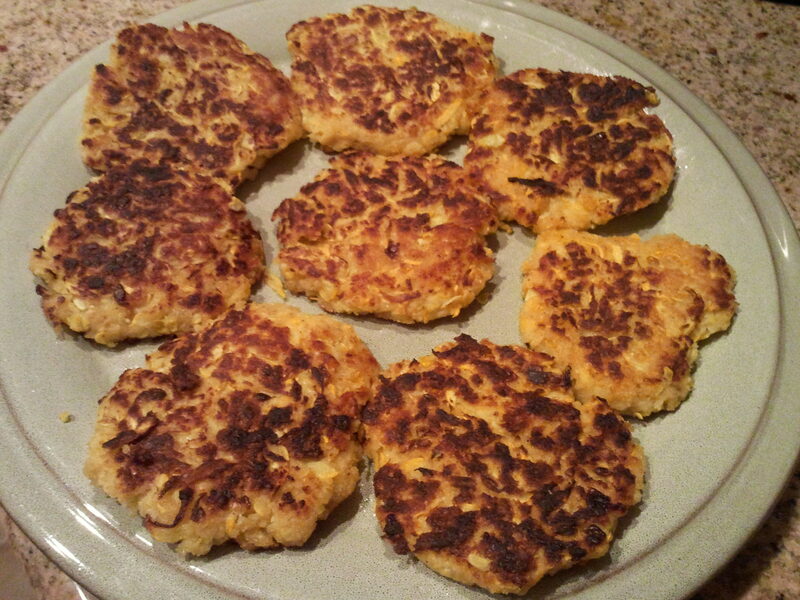 I have made these Zucchini Fritters before, so figured I could do it with yellow squash too, but I didn’t have feta cheese. Then, I came across this recipe for Zucchini Cakes, using Parmesan cheese and Panko bread crumbs, so decided to give it a try. I was very pleased with the results, and will be making this again! I was not feeling up to cooking much earlier this week, so tonight was time to do some catch up. 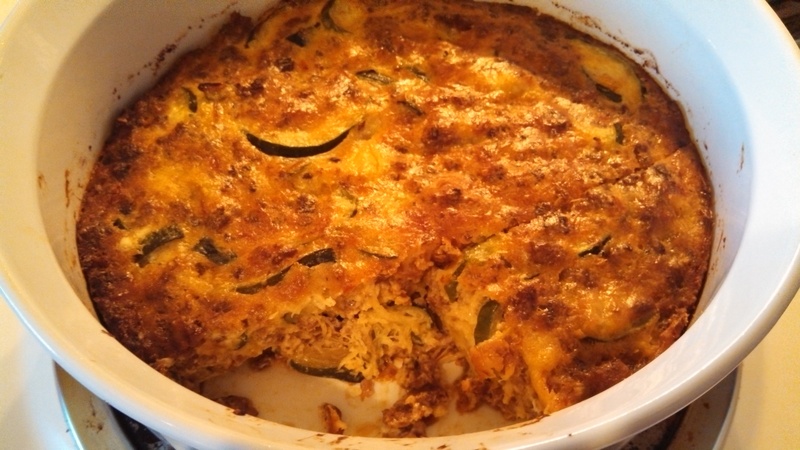 I had gotten Mexican grey squash in my Mexican pack, and still had some yellow squash to use, so since the grey squash is similar to zucchini, I found this recipe for Easy Chessy Zucchini Bake. 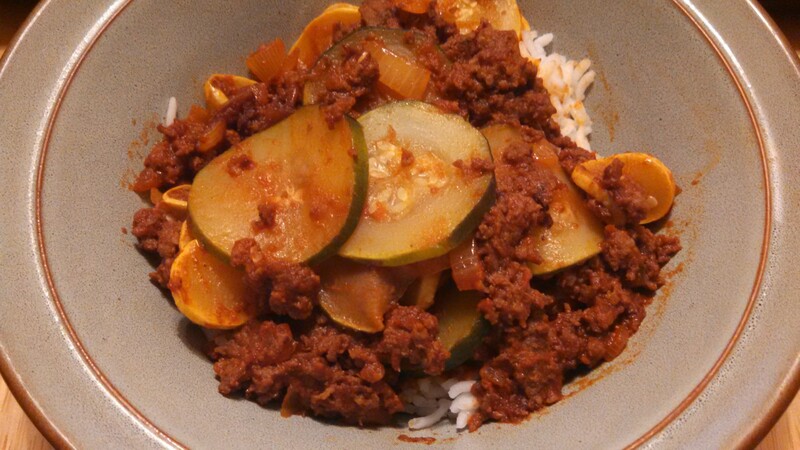 I think it turned out pretty good, I think the grey squash made it a little watery, but over all good. I think next time I will put some mozzarella on top with the Parmesan. I used grated Parmesan on top, but I think it might have been better with both grated Parmesan and shredded mozzarella. Preheat oven to 350 F. Toss together the zucchini, yellow squash, green onion, seasoning, and mozzarella cheese. Spray an 8×8 baking dish, and place the zucchini mixture in the dish. Bake for 25-30 minutes. Sprinkle with the Parmesan cheese (here is where I would also put mozzarella cheese on top, probably about 1/4 cup). 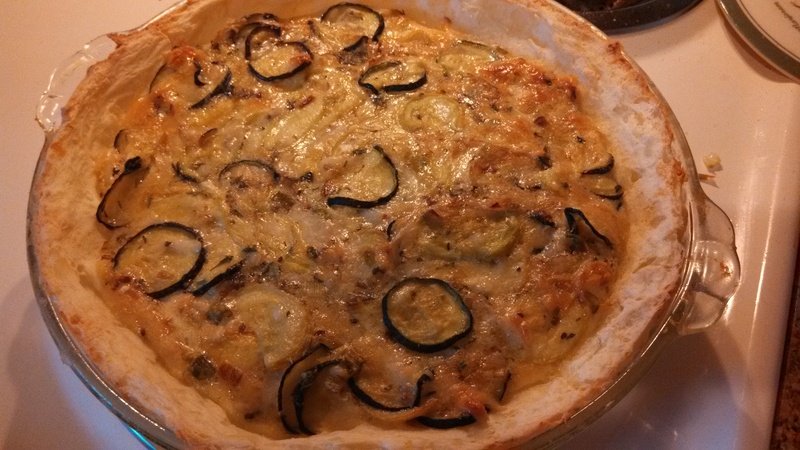 Bake for another 10-15 minutes, or until zucchini and yellow squash are tender and cheese is browned.